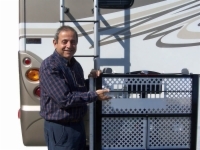 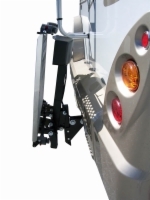 The RV Outside Lift, like all Harmar mobility equipment carriers, has a name that tells you what it does. 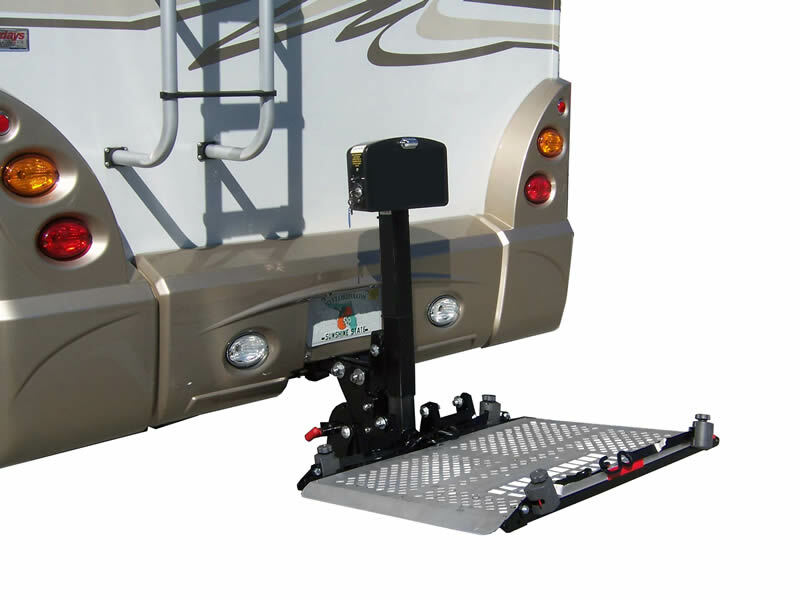 The RV Outside Lift uses a motorized platform that can lift nearly any power wheelchair or mobility scooter from the ground and securely carry it on the outside of your RV. 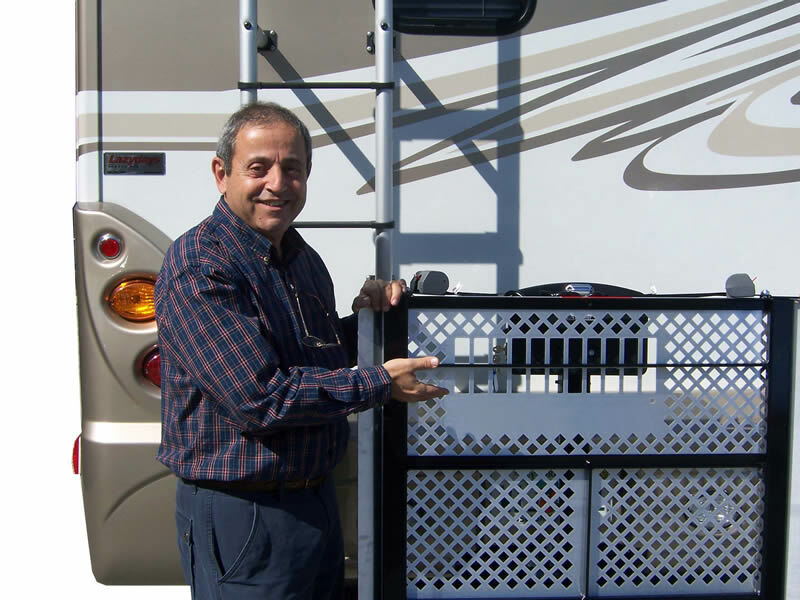 It comes with built-in retractable straps that are compatible with wheelchairs and scooters.